Boxers – with pockets! Read how one lazy day led Danieal Cormier to get down to business. It’s sew cool. Like most great ideas, Danieal Cormier, 20, got his while lounging in his underwear. 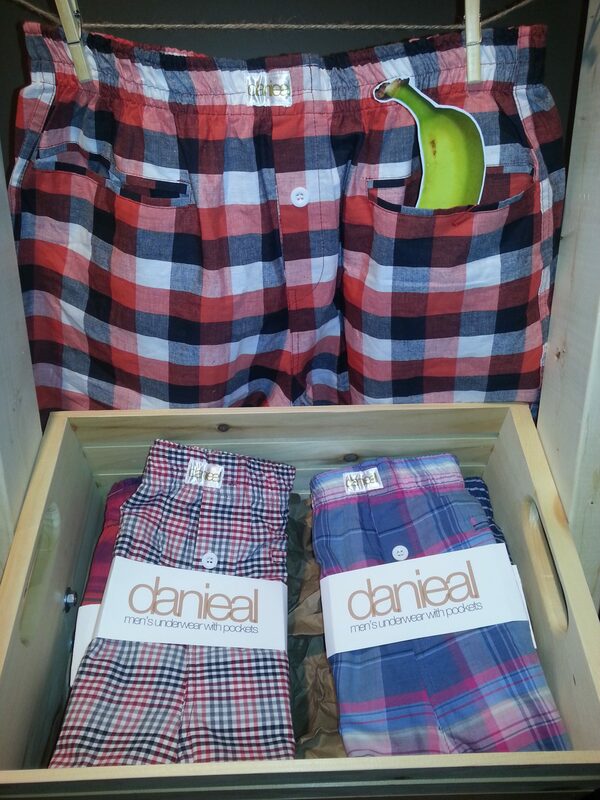 It was then when Danieal | Underwear with pockets, was created. With the first pair turning out successful, Cormier started selling his creation on a small scale at Etsy.com, a popular website for crafters worldwide to sell their art. Noticing they were selling well, even with his amateur sewing, he decided to take the risk and bring his underwear to the next level. “That’s when I shut everything down for a few months to find a manufacturer and perfect everything,” Cormier says. “I rebranded the whole company again just to get it ready for a big launch.” Now Cormier has a manufacturer in India and has his pocketed underwear for sale at Saint John’s trendy men’s boutique Ready Man and Fredericton lingerie store Elle Mio. Cormier doesn’t have a business degree, or a lot of education in entrepreneurship. Based in Quispamsis, he also didn’t have places like Planet Hatch or Launch 36 to show him the way. He used his instincts, creativity and best judgment. Though it’s worked out so far, he admits the journey has been a scary one. “You have to invest a certain amount of money into it and right now it’s been a lot of money invested for marketing, logos, trademark and getting the product itself,” Cormier says. “’It’s like ‘am I going to get that money back?’” So far, he has. Though Cormier has a different background from the young entrepreneurs I’ve chatted with from the Pond-Deshpande Centre, he shares one thing in common with them: the desire to his own boss.